It goes without saying that the best rescue is the one that doesn't need to happen. 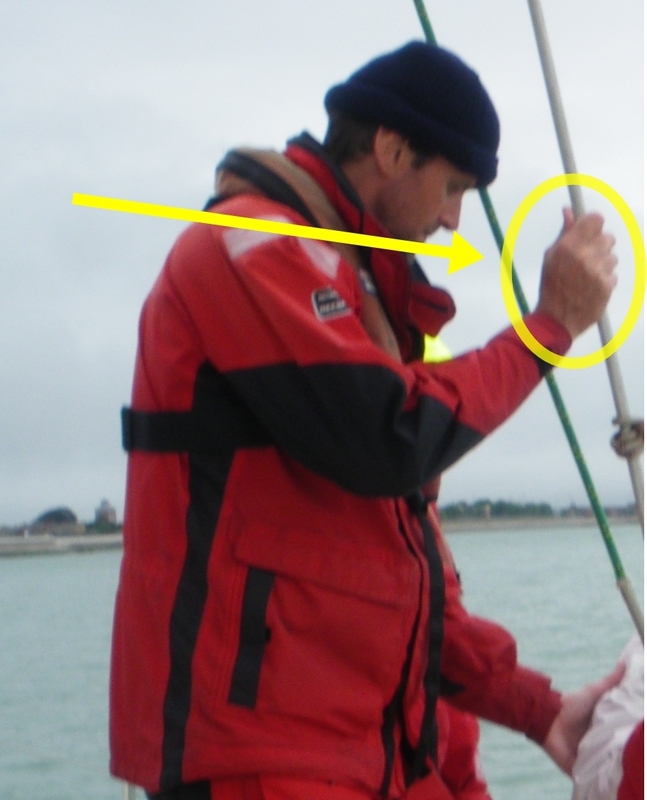 As Master, man overboard prevention is a primary responsibility. There are three things that can reduce the chances of a man overboard. The first is is a state of 'mindfulness'. Crew need to be aware of their surroundings. Simple things like making sure your foot is never in the bight of a line, or not stepping on a line that could cause your foot to roll so you lose your balance, etc. The second is continually remembering the old saying – 'one hand for yourself, one hand for the boat'. In other words, always be holding on to something. If you can't, then perhaps its time to don a safety harness. The third is wearing a safety harness. The tether should be a length that ensures you cannot go off the boat. Being towed can easily result in drowning. The anchor point should be in-board. 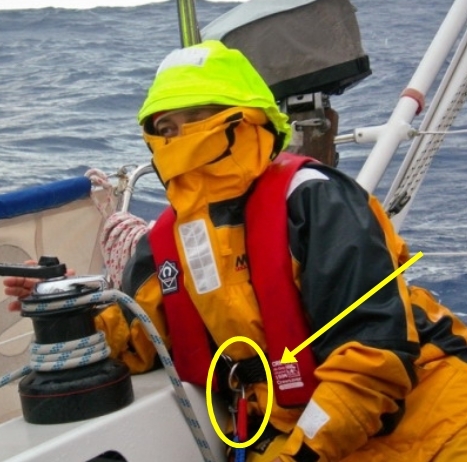 A stanchion or lifeline can serve as a pivot point, flipping you overboard. Being clipped on to a well-secured jack line will ensure you never go off the boat. Set your own SOP's for wearing a harness – eg anyone at the helm at night must be clipped on; anyone alone on deck must be clipped on (I know a sad situation where a wife was down below making lunch. When she came back into the cockpit, she discovered her husband wasn't there. She saw him in the water well behind the boat but was unable to rescue him. He drowned.). Order a harness be worn if someone will be moving around on deck in unsteady conditions, or performing two-handed jobs. When both hands are devoted to the ship, there’s no hand for yourself. Life jackets are designed to keep you afloat in the water, giving rescuers precious time to get to you. But, it only works if you wear it! 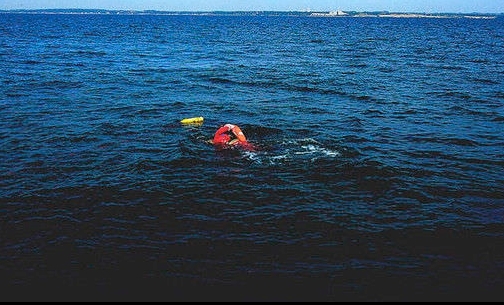 Many people think that drownings occur well offshore. The reality is that 90% usually occur within a few feet of safety. 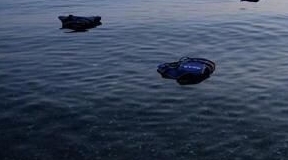 Most of those who drowned had a life jacket but chose not to wear it. Possibly they thought they would have time to get one on. Nothing could be further from the truth. It takes about 60 seconds for an adult to drown and 20 seconds for a child to drown. When a person goes into the water, only a small portion of their face/head is visible. It can be very difficult to locate a person in the water. Finding a person in the water at night can be virtually impossible unless they have a strobe light on their life jacket, a flashlight or mini-flares. 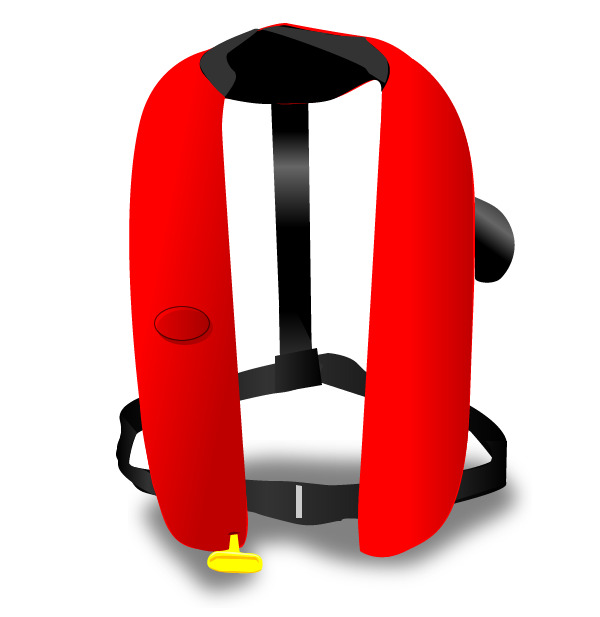 As Master of your vessel, it is your responsibility to determine when a person on board must don a life jacket (I am using the term life jacket to include the 'vest-style pfd made of foam such as this example. The inflatable style (shown here) is very popular because it is compact and easy to wear. 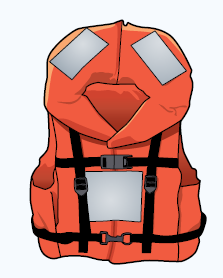 Life jackets can come in various colours. Each has certain pros and cons. The vest-style life jacket is inherently buoyant. You don't have to do anything for it to work. It is working the second it hits the water. It relies on no mechanical mechanisms to deploy. It comes in adult, youth, child, and infant sizes. It can be used by both swimmers & non-swimmers. The foam serves as insulation to help retain body heat in the core of your body, slowing hypothermia (average summer temperature of Lake Huron is 63F/17C). The pockets can be used to store safety equipment such as a whistle, mini-flare, strobe light, etc. The drawback is that wearers can find it bulky or uncomfortable on warm days. Inflatable life jackets are very compact and easy to wear. The drawbacks are that they are sized only for adults and only recommended for swimmers. Test them beforehand as some wearers have found that they can be very tight around the neck once inflated. The gas canister has to be regularly checked to ensure there is enough gas to inflate the device. They do not have pockets where you can store additional items. They generally lack attachment points for a water-activated strobe light. 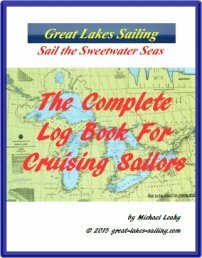 The USCG has a booklet on choosing a life jacket. Although life jackets can come in various colours and patterns, my personal opinion is that you should wear a highly visible life jacket. They are not designed to be fashion accessories but rather to enable a rescuer to find you in the water, quite possibly in unfavourable conditions. My preference is bright orange/red, vest-style life jackets. Its about saving your life, not being fashionable or stylish. Which is easier to see? If you choose a vest-style, use the pockets. Carry a whistle, a signal mirror, perhaps several small mini-flares and a waterproof flashlight. All of these should be secured by a thin line. There should be an attachment tab where you can mount a water-activated strobe light. There is likely room in a pocket for a brightly-coloured watch cap which can help slow down heat loss from your head. Develop you own Standard Operating Procedures (SOP's) for wearing life jackets. For example, during deck work in rough weather, working on deck when you come in to harbour, etc. But remember – you have to wear it for it to work! A person must have a very good reason for not wearing a harness or PFD.